I could only attend this Thursday for about half of the session. 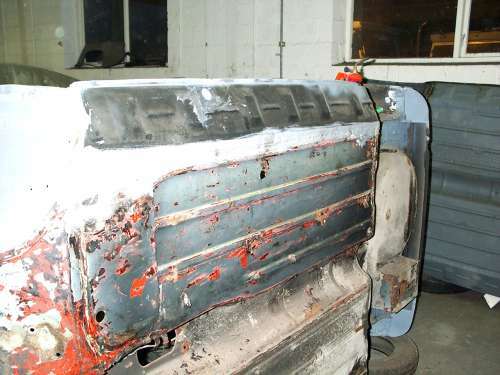 I had decided that I would strip off all the old underseal from the floorpan adjacent to the new sills and prime it. I used a gas blowlamp and a scraper. 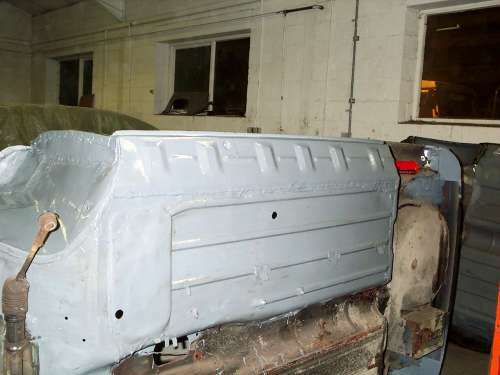 Once all the underseal and loose paint was removed all the rust was dealt with using a wire brush and an angle grinder. Once I was happy it was given a coat of primer. I will give it an other coat later on. The other side of the car will be given the same treatment when I repair the sill on that side.